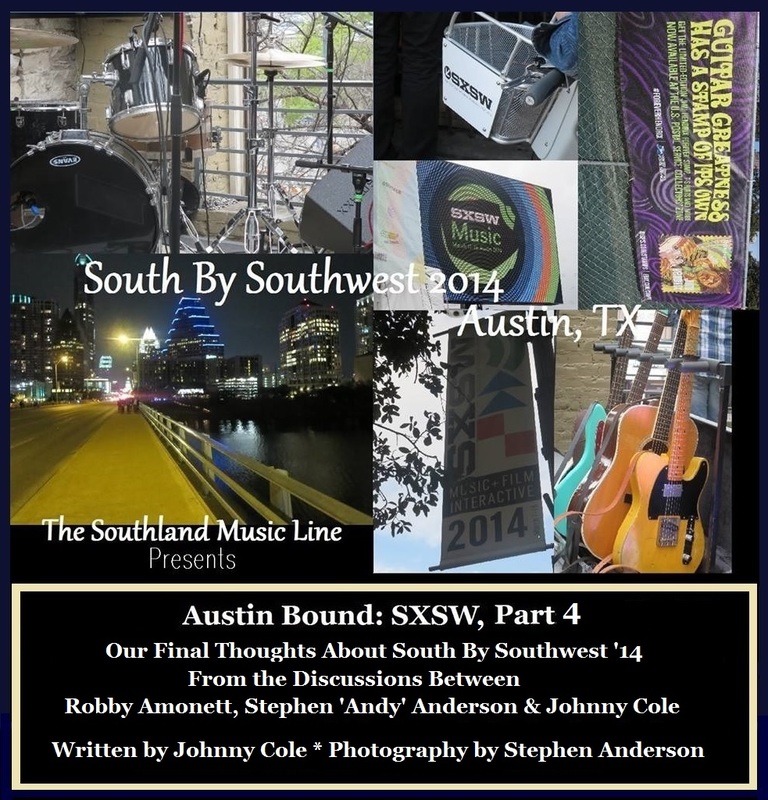 Since the end of this year’s South By Southwest, it’s taken a little time for us at The Southland Music Line to gather our thoughts and opinions on the event. I was able to meet to review this year’s SXSW with both Stephen Anderson (Photographer) and Robby Amonett (Artist) contributors to “The Line”. The last couple weeks, as we are back to familiar surroundings, we’ve had a chance to reflect on the whole event in our normal, hometown environment. 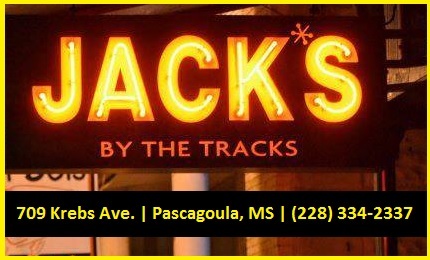 Robby and I met recently at a favorite place in Pascagoula, MS known as “Jacks by the Tracks.” While sitting out on the front porch there at “Jacks” we discussed what we loved about SXSW, personal highlights, and our choices of best music, bands and venues. Robby had an inside look into the the festival while traveling on the road with the band, Banditos, prior and during Southwest. 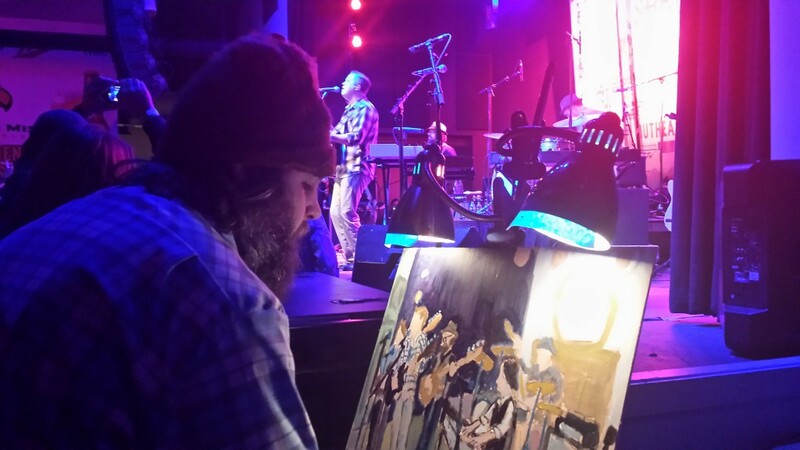 (In Part 3 of this 5 part article, we discuss Robby’s time spent with the band in more detail.) Two of the things Robby mentioned liking best about SXSW was the availability of so much music and the taco trucks. 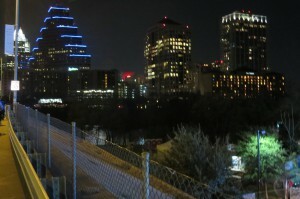 There was no shortage of food vendors set up along the streets of Austin. His highlight venue was Hotel Vegas and a place just to the south of Austin called Sam’s Town Point. Even though he had spent much of his time with his friends in the Banditos band, he still found time to see several other bands/artists. Some he enjoyed most: Barrence Whitfield & the Savages, a full-throttle soul screamer in the spirit of Little Richard, Wilson Pickett, and Solomon Burke, who appeared at The Bloodshot Records Showcase; Lydia Loveless, an artist that both Rolling Stone and Spin Magazine said you need to know in 2014; PopMatters.com says: “If you believe in Rock ‘N’ Roll, you pray for people like Lydia Loveless.” Ha Ha Tonka, described as: “Where Southern Rock Meets The Cure”. 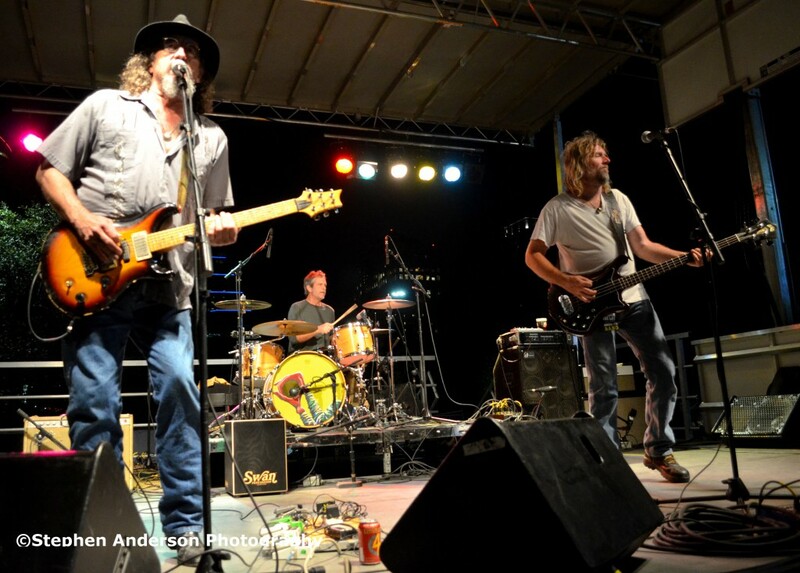 Robby had nothing but high praise for The Deslondes (formerly known as The Tumbleweeds), a New Orleans-based country-soul, R&B, folk and gospel-influenced band who is truly a crowd pleaser. He also enjoyed the two bands The Bad Lovers and The Wolf. Finally, Robby’s list of bands and artists he wanted to highlight included a musician by the name of Ramsay Midwood. 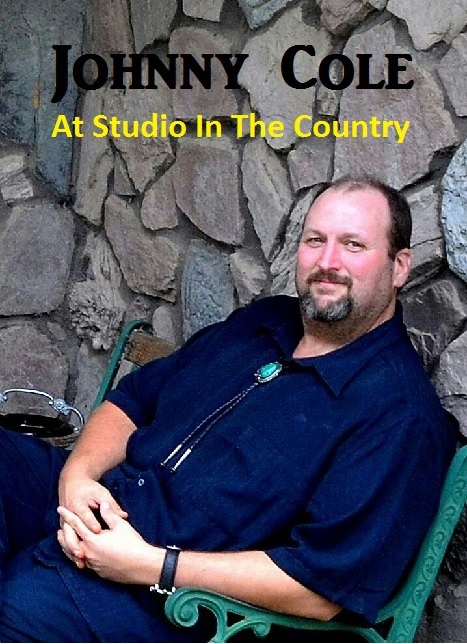 His website calls his brand of music as “Pyschedelic Country Blues”. Stephen and I were also fortunate to see him perform at Sam’s Home Point. When asking Robby, if there was anything that he considered a negative about SXSW, his answer was one that is often repeated regarding huge events like Southwest, the extreme amount of advertising by companies like McDonalds and others. Things like the banners pulled by airplanes and other excessive advertising, he felt was something that he could have done without. 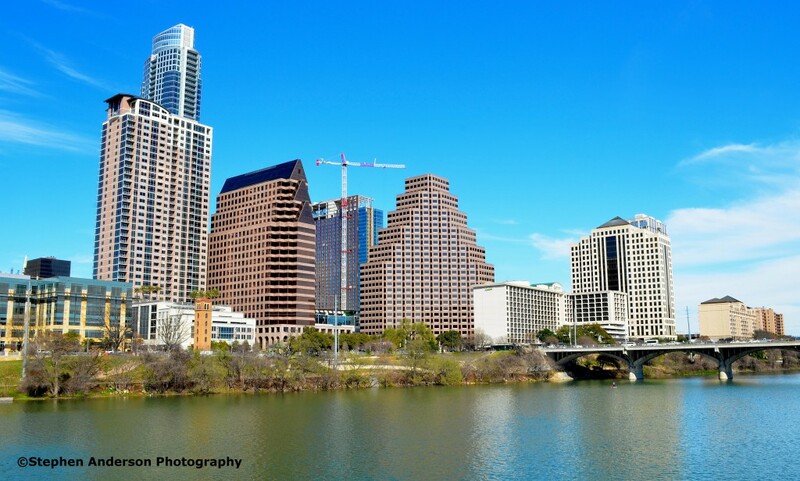 South By Southwest is full of sponsored events, showcases and activities, evident throughout the city during the festival, and with so much commercializing, it’s easy for some to feel this was “too much”. 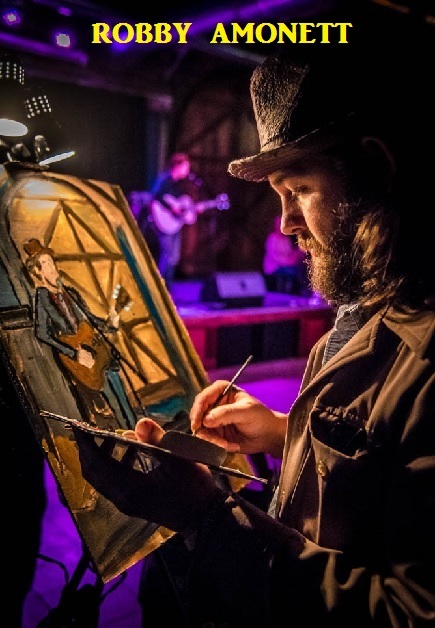 Robby Amonett is a fixture to the local music scene along the Northern Gulf Coast (Florida Panhandle, Southern Alabama and Mississippi) and New Orleans areas. 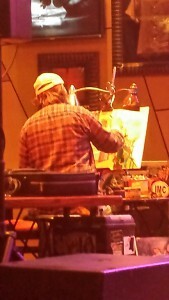 He has painted numerous bands and artists that have traveled through the area, which makes him a valued and beloved resident and part of the scene near his home. 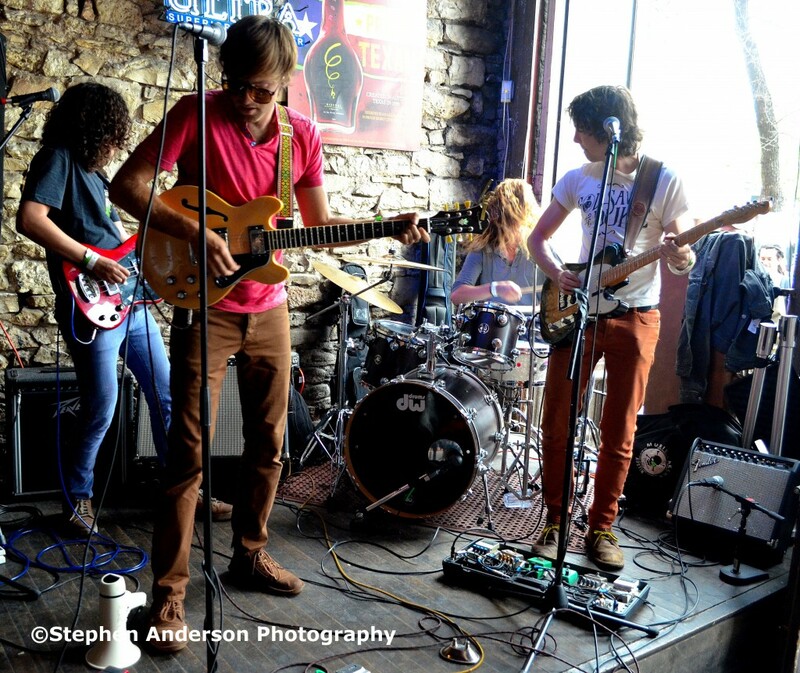 All in all, Robby definitely enjoyed this time at SXSW and especially his time spent with his friends in the band. He looks forward to returning to Austin for the ‘Austin City Limits Festival’ at the end of the year. It truly was nice getting together, briefly, that afternoon at Jacks to share some stories about the music we love. I look forward to seeing plenty more music with him in the future, including another trip to Austin. But for now, the slower pace and getting back to the local scene is refreshing. 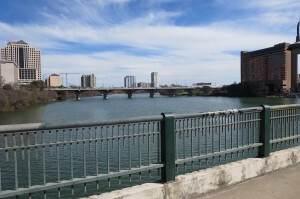 While Robby found his way around the city with Banditos, Stephen Anderson and I did our bit searching Austin for great music at many different locations. 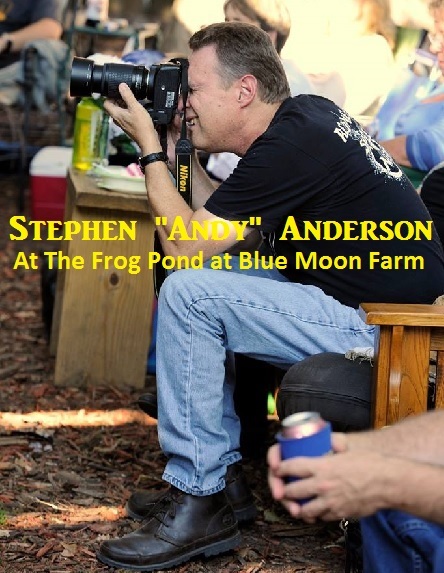 Stephen was able to take photos of many bands and artists. Personally, I believe it is some of his best work. (See Part 5 of this article.) He and I also have been able to discuss SXSW a lot since leaving Austin along with countless hours spent going through thousands of photos from the entire music part of the festival. When asking Stephen some of the same questions that I had asked of Robby, many of the answers were similar. His well thought out answers obviously proved how much he enjoyed Southwest and the city of Austin. When asked ‘what he liked most?’ His response was clearly about the availability of so much music. He loved the fact that he was able to see so many artists that he had not seen before. 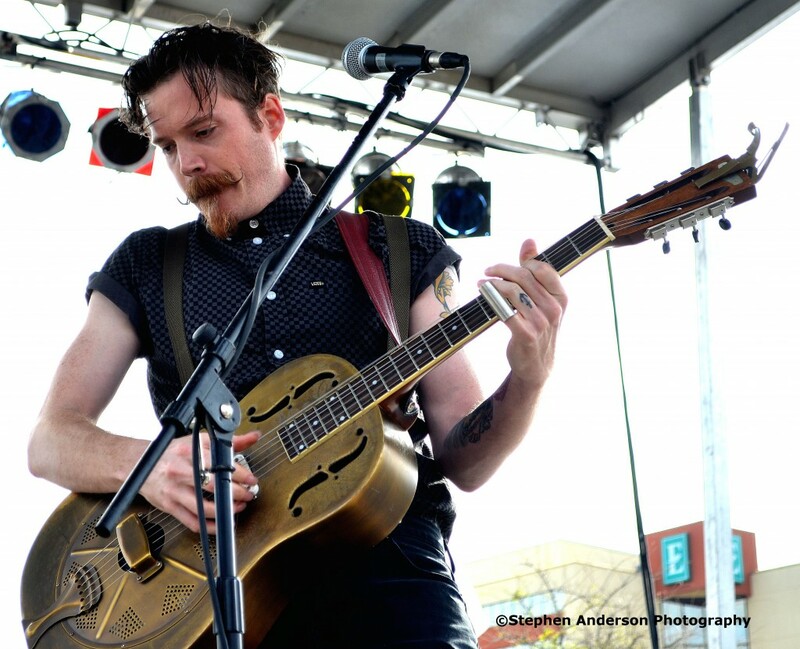 If not for SXSW, he would not have ran across such bands as the entertaining ‘Cheers Elephant’ or ‘Mandolin Orange’. He appreciated being able to walk down the street and look through the many open doors and wide windows to see one band after the other. 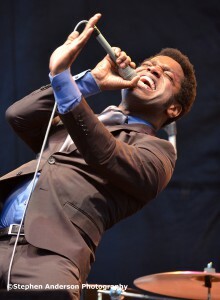 The huge events, held across the river at Butler Park, gave many an opportunity to see such events as “The All-Star Tribute to Jimi Hendrix” and “The Tribute Celebrating the Music Legacy of Memphis”. The two events at Butler Park allowed Stephen the chance to get photos of Rock & Roll Hall of Fame members such as The Doors’ Robby Krieger, Booker T. Jones of Booker T. & the MGs and Slash from Guns n Roses. His photos of Lucinda Williams, Charlie Mussellwhite, Bobby Rush and more were awesome; not to mention, also seeing Los Lonely Boys give one top notch performance, followed by the band he believed was the most exciting live act of the entire SXSW – Vintage Trouble. Stephen uses the term, “Real Deal” to describe those musicians he deems as the ‘very best’. He certainly felt that way about seeing James McMurtry at the “Rock The Lot” show near the Congress Avenue Bridge and I absolutely agree. When asked about SXSW links to Corporate America, company name placements and the large amounts of sponsored events, Stephen feels as I do about this subject. Without the companies sponsoring the many showcases and events, we wouldn’t have gotten the chance to see such an extraordinary event as “The Jimi Hendrix Tribute”. 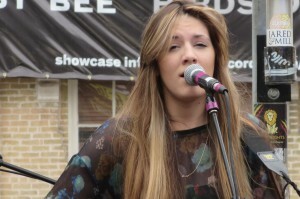 Plus, SXSW can be overwhelming with who to see, where to go and or what’s next. Those sponsors’ dollars helped provide brochures, daily SXSW newspapers and helpful websites to guide us to the many events. Admittedly though Robby was right, at times, it can seem a bit much. And finally Stephen said after reflecting over his full week of activities at Southwest, he couldn’t come up with anything he didn’t like with the Festival or with the city of Austin. His only advice to future festival goers is to ‘wear comfortable shoes!’ I agree one hundred percent with Stephen about the sponsorships, the city of Austin and the shoes. Stephen and I walked several miles each day, covering the entire downtown area, across the bridge (we crossed two bridges on multiple occasions) and ‘up and down’ many stairways to rooftop shows. Following the New Frontier Touring Showcase, we felt as if we had walked 40-50 miles that week. As for me, I loved so many things about SXSW 2014, that it is hard to point or highlight the things I liked best, but for starters, getting to the same parking lot each day (even same spot) was a big convenience; our accommodations provided by friends at their Austin condo was another one; and having a short distance to drive each day made it nice too. Those kinds of things have to be highlights, because as anyone knows when those things don’t work right, it can make a whole trip a total disaster. As for music highlights and standouts, many have been mentioned in this multiple part article. It’s fair to say, I enjoyed many on different levels. 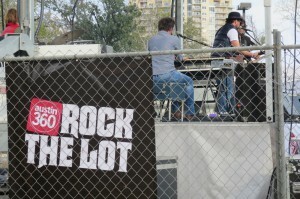 Three outdoor events: The All-Star Jimi Hendrix Tribute Show, The Celebration of the Music Legacy of Memphis, and The Rock the Lot show, dedicated primarily to local Austin musicians – were all fun, exciting and will remain memorable. Man, I got to see The Doors’ Robby Krieger next to fellow Rock & Roll Hall of famer, Slash (Guns N Roses) performing the songs of Hendrix! Pretty cool! As far as the most lively show, I believe Vintage Trouble receives that honor. They can rock a small venue or a large outdoor setting equally amazing. I cannot wait to see them again! 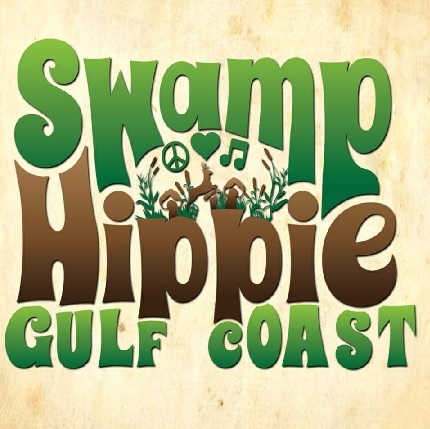 There are others I’m looking forward to seeing more of – Cheers Elephant, Jordan Sokel, Mandolin Orange, Roo & The Howl and Liz Longley. ( See more about them and others in Part 1 of this 5 Part Article). The biggest standout performance for me was Lincoln Durham. I left SXSW ready to explore his music in more detail and have been doing so since leaving Austin. Hopefully, when I return to Austin, I can also make it to one of the James McMurtry shows at The Continental Club. We saw some familiar bands we love (eg. Rosco Bandana) some bands we wanted to know more about (eg. Vintage Trouble) and some new ones we knew nothing about (eg. Roo & The Howl, Liz Longley, Mandolin Orange and most certainly Cheers Elephant), thus giving us much reason to look forward to next year. Another big part for me at SXSW is meeting, not just musicians, but club owners, writers, photographers, vendors and every once in awhile someone you didn’t expect to meet. 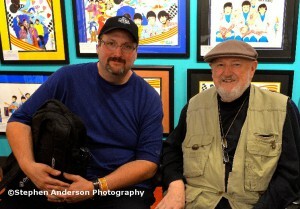 Meeting Ron Campbell, an animator, director, and producer, best known for his work on the 1960s The Beatles television series, as well as the animated feature film Yellow Submarine, was a nice surprise. At the Vintage Trouble show, I met longtime musician Steve Power who shared many stories. Incredibly, you never know whom you will run into at SXSW. This year was marked by a senseless tragedy. As written about early in this article, our hearts go out to all those affected by the terrible event that went down on the early morning hours of March 13, 2014. We felt it was important to make mention of it, one more time at the conclusion of this article. And finally, we encourage everyone who took the time to read this entire 5 Part Article (including the Photo Retrospective that follows Part 4), to check out the many bands and artists discussed – Go to their websites, follow them on Facebook and Twitter, Purchase their music on Amazon or iTunes, and GO SEE THEM LIVE! 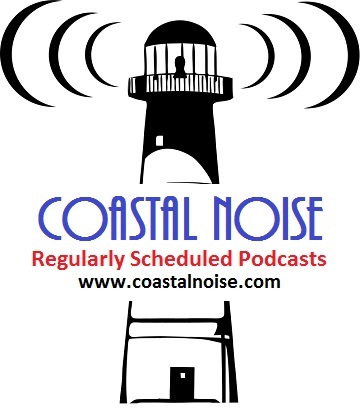 We also encourage all to support their own local music scene and independent music. South By Southwest promotes what’s new in Film, Interactive Media and Technology and Music, which is why we went to this event, in the first place. 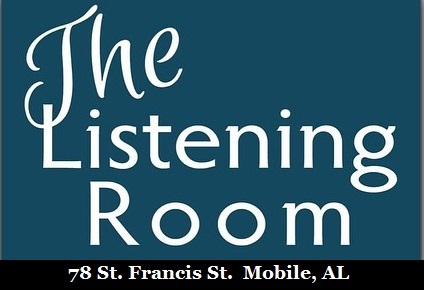 The Southland Music Line promotes music from all over the World. 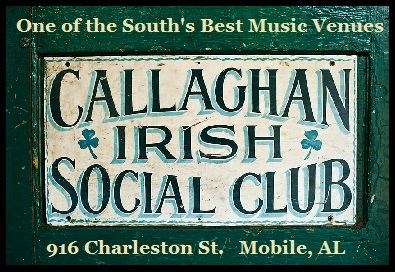 Yes, we highlight music and musicians ‘from or associated’ with “The South”, but we believe that every band, every solo artist, every duo that takes their music to places like New Orleans, LA; Memphis or Nashville, TN; Athens or Atlanta Ga; Tupelo, Ms; Norman, OK; Gainesville, FL; Asheville, N.C.; Lynchburg, VA; Mobile, AL; and yes, Austin, TX can be called “Southern” for the time spent in such places. There are a lot of fans ‘Down South’ and there are a lot of small websites and magazines promoting their music. Regardless of size or recognition, you never know just who is spreading the word about a certain band or talking about a great music venue. The power of social media and just ‘the word of mouth’ are tools to inform others about something they might be missing. No band, artist or promoter should be quick to overlook the various means of spreading the news, and efforts in reaching people far and wide.